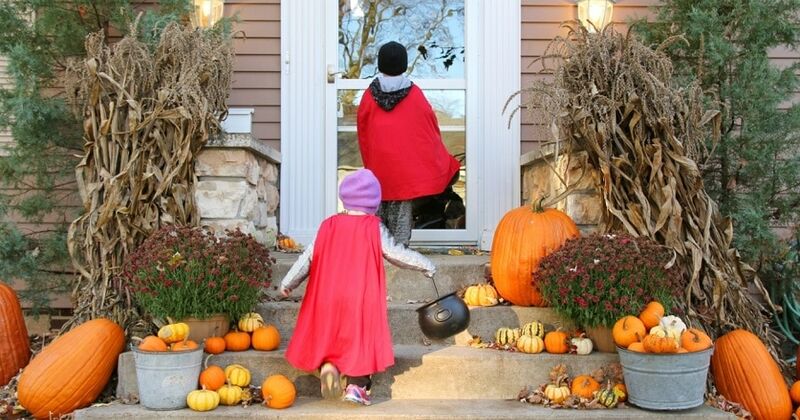 It’s almost time for princesses, pumpkins and pirates to take over the neighborhood. Here’s your Northern Michigan trick-or-treat schedule. Alanson, community / Oct. 31, 5:30 to 7:30 p.m.
Bay Harbor, Village Trunk or Treat / Oct. 31, 4 to 5 p.m.
Boyne City, community / Oct. 31, 5 to 8 p.m.
Charlevoix, community / Oct. 31, 6 to 8 p.m.
Cheboygan, downtown / Oct. 30, 3 to 5 p.m.
East Jordan, community / Oct. 31, 5 to 8 p.m.
Elberta, community / Oct. 31, 5 p.m.
Elk Rapids downtown / Oct. 31, 5:30 p.m.
Elk Rapids Fire Department, open house / Oct. 31, 5–8 p.m. Empire, Town Hall / Oct. 31, 6 to 8 p.m.
Frankfort, community / Oct. 31, 4 to 7 p.m.
Gaylord, community / Oct. 31, 5:30 to 7:30 p.m.
Glen Arbor, downtown / Oct. 28, noon to 3 p.m.
Grayling, community / Oct. 31, 6 to 8 p.m.
Harbor Springs, community / Oct. 31, 6 to 8 p.m.
Kalkaska, community / Oct. 31, 5 to 8 p.m.
Leland, community / Oct. 31, 5:30 to 8 p.m.
Ludington, downtown / Oct. 27, 2 to 4 p.m.
Ludington, community / Oct. 31, 6 to 8 p.m.
Mackinaw City, community / Oct. 31, 6 to 8 p.m.
Mancelona, community / Oct. 31, 5 to 7 p.m.
Manistee, community / Oct. 31, 6–8 p.m.
Milton Township Fire Department, open house / Oct. 31, 5–8 p.m.
Northport, in the village / Oct. 31, 4:30 to 6:30 p.m.
Petoskey, community / Oct. 31, 6 to 8 p.m.
St. Ignace Trunk or Treat & Haunted Woods / Oct. 27, 6:30–9 p.m.
St. Ignace, in the city / Oct. 31, 5:30 to 8 p.m.
Traverse City, Downtown Halloween Walk / Oct. 27, 10 to 11:30 a.m.
Traverse City, neighborhoods / Oct. 31, 5 to 8 p.m.